Welcome to the website of Holy Trinity Church, the historic Parish Church of St. Andrews, Scotland, and a Church of Scotland congregation. 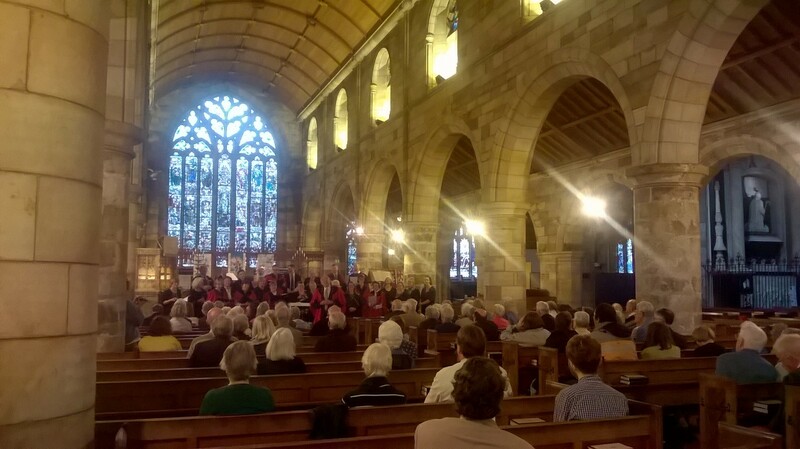 We are the church at the heart of St Andrews – with St Andrews at its heart. Our mission is to serve the needs of people in our parish of St Andrews, and to help people connect with the gospel of Jesus Christ. Our contemporary, all-age service begins at 9am. It includes Family Time, A children’s message and song, praise led by our worship band and a short sermon. A complimentary breakfast is served from 8.30am and continues throughout the service. For more details, please click here. You can also check out our Facebook page. Please note that Breakfast at Trinity is hosted in the Hunter Memorial Aisle, which is accessed through the entrance between the ‘Breakfast at Trinity’ banners. If you prefer a more Traditional service, with organ music and choir, then join us at 11.15am. Refreshments are served after the service. For more information look here, contact the church office, or see our Facebook page. The Traditional Service is hosted in the Main Sanctuary, which is accessed via the main entrance to the church. Children are warmly welcomed at both services. The Parish Church of the Holy Trinity is located in the centre of St Andrews town. There is no Church parking on-site. However, off-street parking is offered by Fife Council. Parking in town is free on Sundays until 1pm.